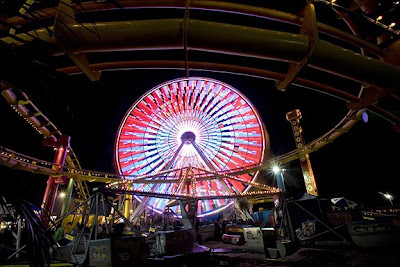 The Ferris wheel at Santa Monica Pier was finally opened last night. 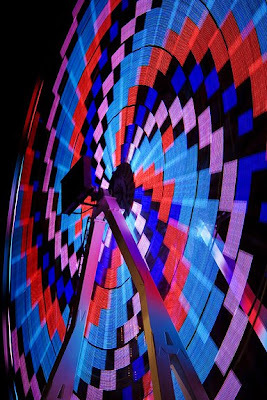 The new Ferris wheel replaces the last one which was auctioned off on eBay for $132, 400 USD. This new and improved version features over 160, 000 lights and is solar powered. It is 130 feet tall at it's highest point , has 20 gondolas which hold 6 adults, and cost $1.5 million USD. Rides were free to the public along with popcorn and cotton candy for all. Overall it was an amazing night and everyone who exited the wheel had a smile. A rare night in LA (Santa Monica).